Machu Picchu, rediscovered in 1911 by Hiram Bingham, is a fortress city of the ancient Incas. The ruins are one of the most beautiful and enigmatic ancient sites in the world. While the Inca people certainly used the Andean mountain top, erecting hundreds of stone structures in the 1400's, legends and myths indicate that Machu Picchu (meaning 'Old Peak' in the Quechua language) was revered as a sacred place from a far earlier time. 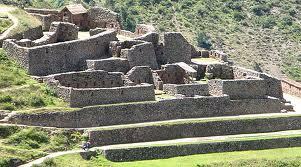 Whatever its origins, the Inca turned the site into a small but extraordinary city. Invisible from below and completely self-contained, surrounded by agricultural terraces sufficient to feed the population, and watered by natural springs, Machu Picchu seems to have been used by the Inca as a secret ceremonial city. Two thousand feet above the Urubamba river, the cloud shrouded ruins have palaces, baths, temples, storage rooms and about 150 houses, all in a remarkable state of preservation. 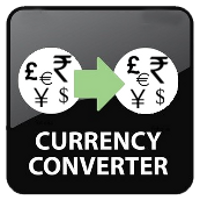 Upon arrival in Lima, Peru you will be met at the airport and transfered to our hotel. Lima, Arrive early and spend the day in the City of Kings, a city full of history and cultural heritage. Tonight meet your group leader at your hotel and join the group for an optional dinner. Early in the morning we transfer to the airport for our flight to Cusco. Upon arrival free time for a rest and to get used to the altitude. Cusco was a Holy City, place of pilgrimage, a sacred place the Incas themselves believed was “The Navel of World”, thus its real name “Qosqo”. Nowadays Cusco is a fascinating mix of Inca and Colonial Spanish architecture; churches, monasteries, convents and Inca remains are found at every corner, many streets are lined with perfect Inca stonework’s, which served as foundation for the Spanish constructions that took place in the XVI and XVII centuries. If you haven't meet everyone already, tonight is your opportunity. Get ready to enjoy a dinner in a typical restaurant with a folklore show where the musicians play their melodies with Andean instruments of beautiful sounds while typically dressed dancers will show you different ancient Peruvian dances. Enjoy a late breakfast and time for souvenir shopping before our afternoon tour of Cusco. 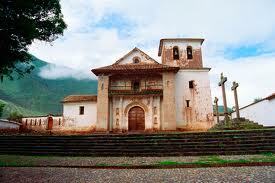 Visit the Main Square, the Cathedral and the Temple of the Sun or Korikancha. Then drive to visit the Inca sites of Kenko, Tambomachay, Puca Pucara and the impressive fortress of Sacsayhuaman, built strategically on a hill overlooking Cusco; famous for its enormous carved stones joined with astounding precision to form the outer walls. Some of these stones stand over 30ft tall and weigh over 350 tons. 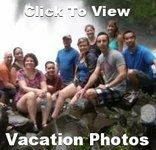 Vacation Day 4 - Monday: Cusco - Excursion to the "Sacred Valley of the Incas"
A succession of picturesque towns, agricultural terraces and archaeological sites. Explore at your own pace the Market of Pisac, a picturesque Andean shopping center where native people are seen bartering their products and also selling a wide variety of handicrafts. On Sunday there is a catholic mass service on Sunday celebrated in Quechua, the native language. Lunch at a local restaurant in the Sacred Valley. 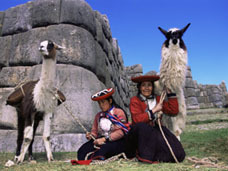 In the afternoon we pass through Calca and Urubamba towns to arrive at the Inca Fortress and Citadel of Ollantaytambo. Built to guard the valley entrance and protect it from enemies of the lower jungles it consists of a series of superimposed terraces of carved stones accessed by long staircases. Walk through the quaint streets of the nearby town, a religious and agricultural center during the Inca Empire. Visit the picturesque Andean village of Chinchero where the remains of the royal hacienda of Tupac Inca Yupanqui lies. 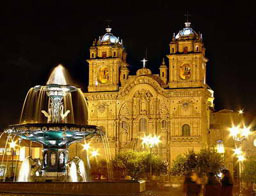 Admire the well preserved Inca wall at the Main Square, visit the beautiful colonial temple built on Inca foundations. Return to Cusco in the late afternoon. The day starts with an early morning transfer to Cusco train station. Enjoy a unique train ride towards the marvelous Inca ruins of Machu Picchu. Get the most outstanding views of the Urubamba River, which cuts its way through green fields beneath the high peaks of the Andean glaciers towards the marvelous Inca ruins of Machu Picchu. Get the most outstanding views of the Urubamba River, which cuts its way through green fields beneath the high peaks of the Andean glaciers. After our three 1/2 hour train journey have lunch in Agias Calientes before we drive up the mountain to the famous Inca Citadel of Machu Picchu, also known as "The Lost City of the Incas". Upon arrival our guided tour begins, visiting the Main Plaza, the Circular Tower, the Sacred Sun Dial (Intiwatana), the Royal Quarters, the Temple of the Three Windows and various burial grounds. After the tour you will have time to stroll around the archaeological site. Then it is back to Agias Calientes for an evening at leisure. 1. 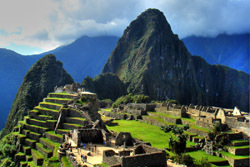 Visit the Citadel of Machu Picchu for a second time (extra $$). 2. For active or more adventurous people, we suggest to climb up the Huayna Picchu (depending on weather conditions) from where you can appreciate the immensity of Machu Picchu, even more amazing being high and distant. Arriving at the top takes about two and a half hours. An exciting adventure for hikers who want to see the nature and the carved stone emerging from the ground as if a geological miracle. 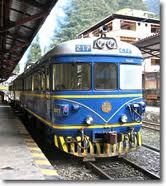 In the afternoon, back to Cusco by train and our hotel. Evening free. We recommend dining at the hotel and have an early night. Morning departure by bus to the City of Puno. During our trip, pass by the lovely Wacarpay Lake, offering spectacular views of mountains reflected in waters. Visit the pre-Inca citadel of Pikillacta, the ruins consist of more than 700 structures with some walls standing at almost 40 feet high. We proceed to the town of Andahuaylillas to visit the Church of San Pedro de Andahuaylillas, also known as the Sistine Chapel of the Americas, due to its decorated polychrome ceiling. On the way, we stop to see a spectacular Inca Sanctuary dedicated to the great Inca God of Wiracocha. Then we pass through La Raya Ranch where we can see herds of vicuñas and llamas, stopping at the town of Ayaviri, an important livestock and textile center, to visit the impressive Temple of Kalasaya, ruins from the ancient Pucara Culture. We stop for lunch in a quiet countryside restaurant, where we can enjoy the delightful culinary art of the region. Later In the afternoon we arrive in Puno and check in to our hotel. This morning, we will have an unforgettable motorboat excursion on the waters of Lake Titicaca to the unique "Floating Islands" of the Uros. 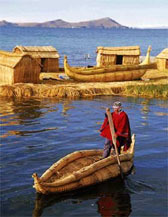 The ancient inhabitants of the lake, known as the Water Tribe, have built their own "islands" by periodically adding new layers of a type of reed unique to the area called "totora", vegetable fibre from the Papiro family. Their homes and boats are also made from this material. Then we continue our motorboat trip to Taquile island, inhabited by Quechua-speaking natives who have developed an efficient and unique social system, as well as fine hand weaving techniques, that have been passed down through generations. After lunch in a local Taquile inn, we will have a walk through the various hills and archaeological sites of this 3 1/2 mile long island before we return to Puno. Early in the morning we transfer to the airport for our flight to Lima. 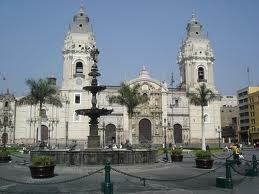 A city tour around Lima is a fantastic way to discover the history in this old capital of the Conquistadors. Our tour of the "City of Kings" includes the Historical Center, Main Square, Government Palace, City Hall, the Cathedral (tomb of Francisco Pizarro, conqueror of Peru), Museum of the Cathedral, Temple of Santo Domingo (tombs of Santa Rosa and San Martin), Temple of San Pedro, Lima Colonial Balconies, Torre Tagle Palace, Paseo de Aguas and Convent de los Descalzos.. after enjoy an overview of Peru's pre-Columbian history while visiting the Museum of Anthropology and Archeology, the largest collection of pre-Hispanic artifacts, such as Chavin stone sculptures, textiles from Paracas, Nazca and Mochica ceramics and Chimu metalwork; as well as paintings, documents and objects relating to prominent people of Peru's Conquest, Vice Royalty and Republic times. After all that sightseeing let's sit back and enjoy a folklore show and dinner at a local Peruvian restaurant at our Farewell Dinner. It is time to say goodbye to all your new travel buddies as we are transferred to the Airport for our International Flights home.